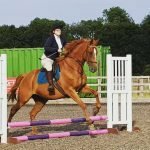 HealthShould you put banks in your horses bed? 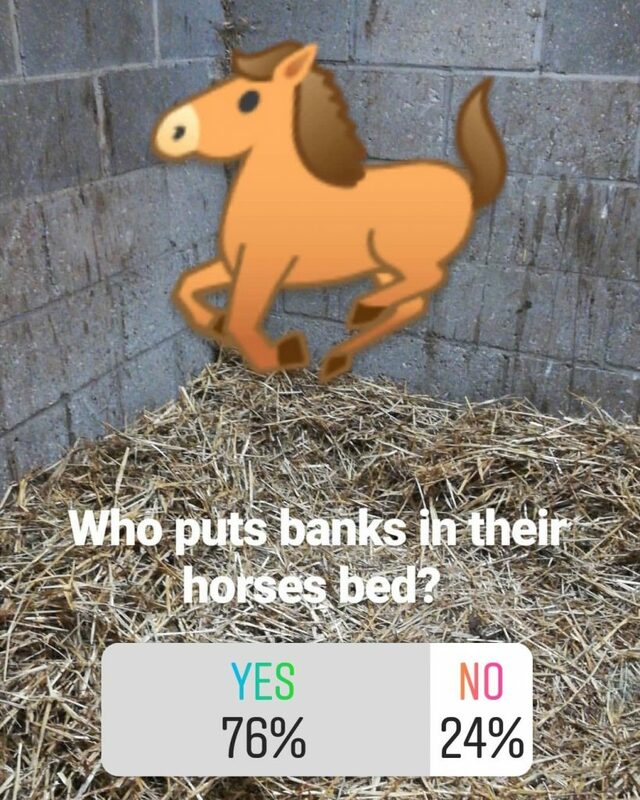 Should you put banks in your horses bed? Growing up I was always taught that banks were an important part of your horses bed. They stopped your horse getting cast (stuck on their back) in the stable and can prevent injury. 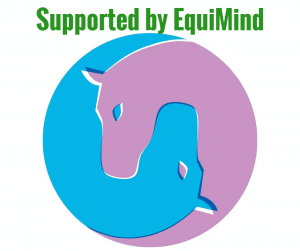 However, recently a few vets have come forward saying that the majority of banks used by horse owners are too small and soft to actually prevent a horse getting cast. This got me thinking about if we should still be using banks or not. 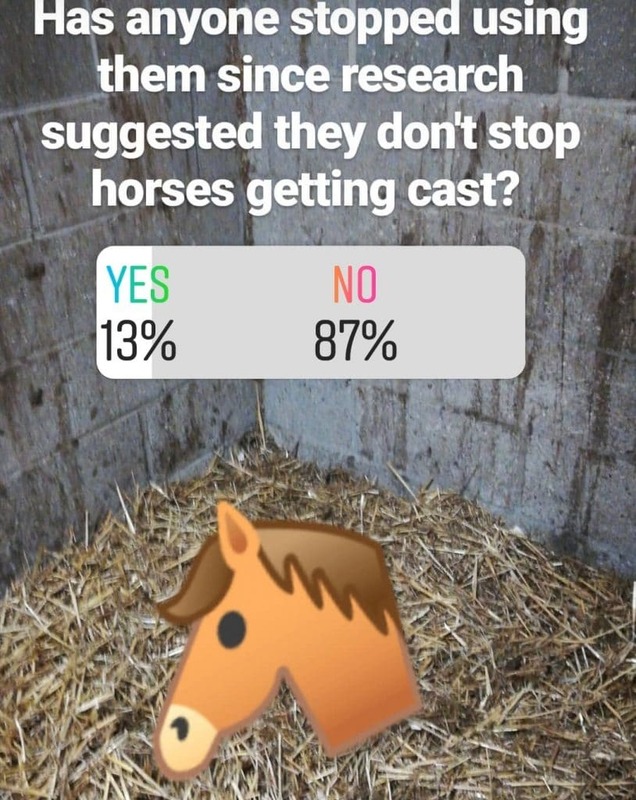 Afterall, if they are “useless” against stopping a horse getting cast, then are they worth having? And could there potentially be added risks of using banks? 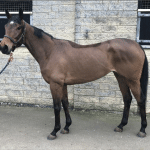 Some vets have suggested that having banks could potentially affect your horse’s respiratory health. This is because it can be easy to not completely turn the banks over on a regular basis. This can lead to damp banks where fungus can grow, releasing spores into the air. 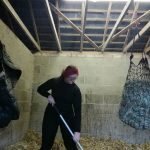 This is why if you do use banks in your horse’s stable, you should make sure you dig them up regularly to make sure they are dry and clean underneath. While mucking out over the weekend I was pondering the use of banks in light of these new ideas from vets. So I asked my Instagram followers if they use banks or not. The majority of you use banks in your horses beds. 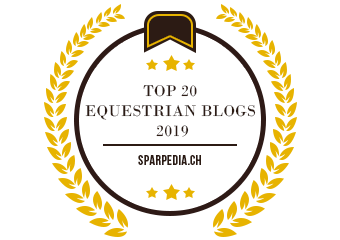 Only a small number of you have stopped using them since finding out that they may not help stop your horse getting cast. Why do you use banks? When I first got Scottie I religiously put banks in. 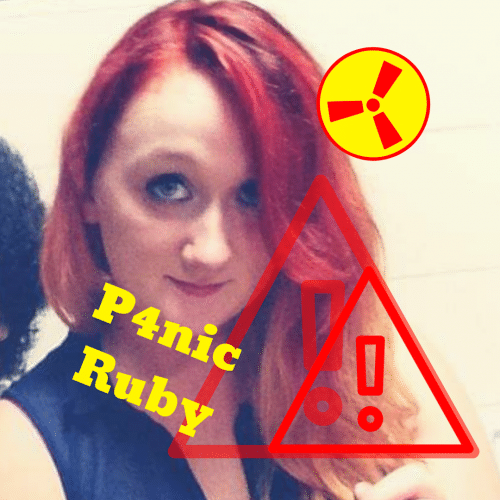 However, as time has gone, I have changed this slightly. Scottie is a creature of habit. 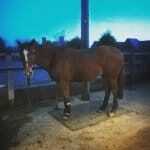 He always lays in the same place in his stable, to the left hand side, away from the door and near the hay. So as time has gone on, I have stopped putting banks all round the stable and only put banks on the half of the stable he lays down on. Occasionally, like when I put a lot of fresh bedding in, he has banks all round the edge of the stable. But mostly he just has half bank, and even then they aren’t particularly big. While I always thought banks were the safe thing to do, Scottie has a habit of standing on them. This flattens and compacts them, making it quite difficult to turn them over! Which puts him at a higher risk of have damp bottoms in the banks as they can be a nightmare to get to! I am still undecided if I will continue to use banks or not. 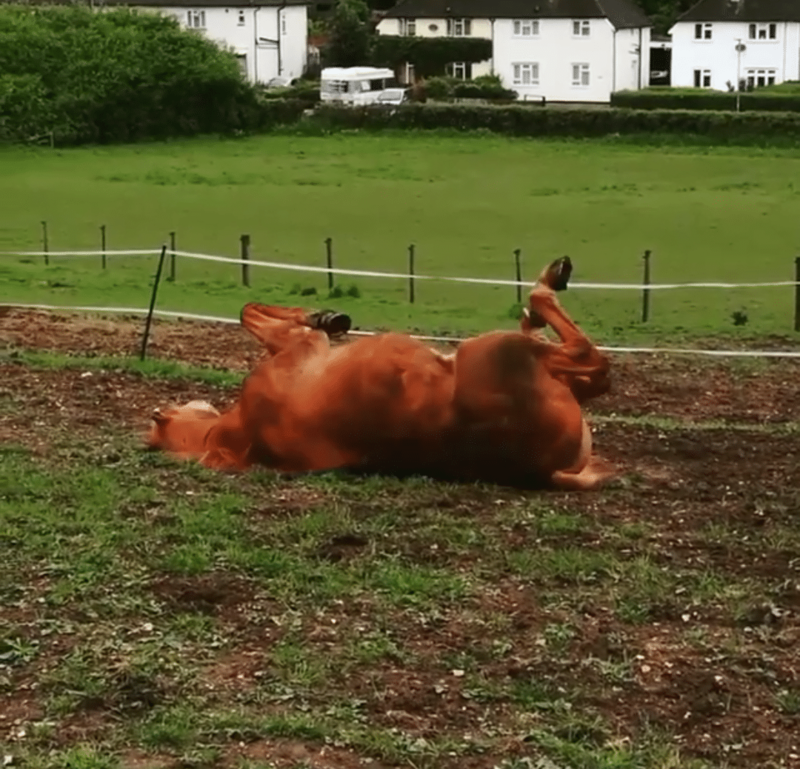 As much as Scottie loves a roll in the field, I have never known him to roll in the stable. He does lay down, often fairly close to the wall, but he isn’t rolling around. So I can’t decide if they are a benefit or not. 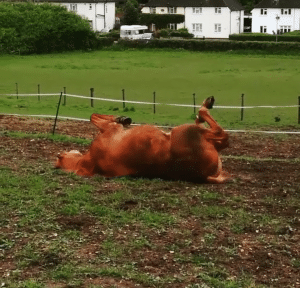 If your horse loves a good roll in the stable, you may want to consider other things to help prevent your horse getting cast. These things can be used alongside your banks or you can ditch them!